Many professionals today are blogging on their own blogs or on a company blog in support of a team marketing effort. There are many things that contribute to making a blog successful with its target audiences. The essential factors of topic relevancy, good writing, timely content and a point of view are a given, but what about other factors like length and frequency of posts? 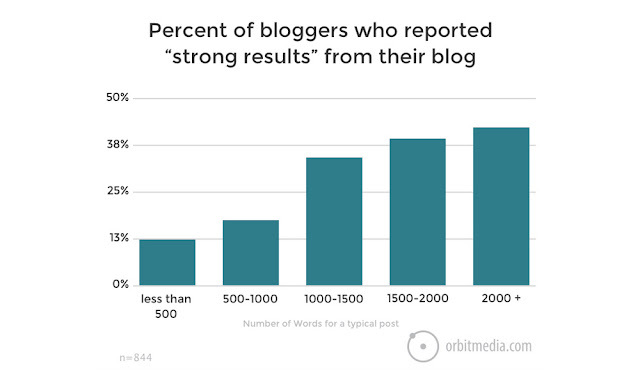 In general, blog posts are getting longer. Posts with 500-1,000 words are still relevant and acceptable, especially if you’re a working professional who includes blogging as just one marketing and public relations tactics you employ. Although the average word count should be something that is comfortable for the author, there is often good reason to dedicate more words to a topic if it will benefit your audience. As the amount of content grows across the Internet, competition for readership increases. Rich media such as video and images, as well as lists (like this one you're reading) that provide specific directions or tips, have become fundamentally more important to call attention to online content. 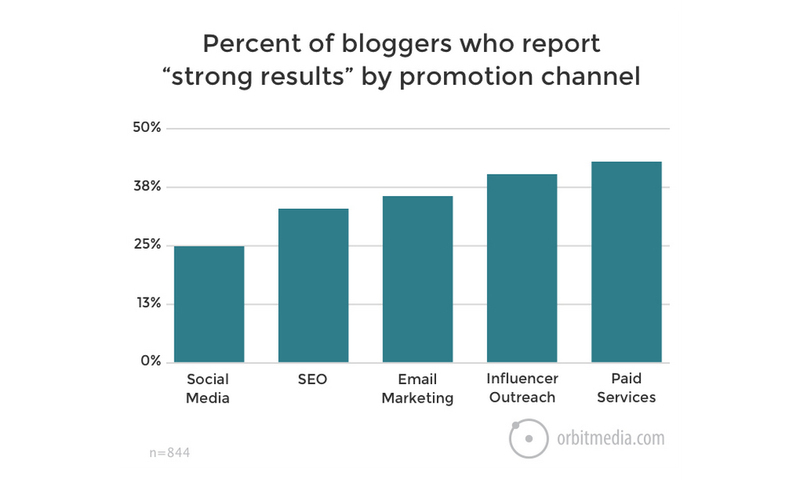 Most bloggers surveyed are posting every week, however, the bloggers that report the best success are also the ones that post the most often. This makes sense as their main marketing efforts are probably centralized around blog content and promotion. 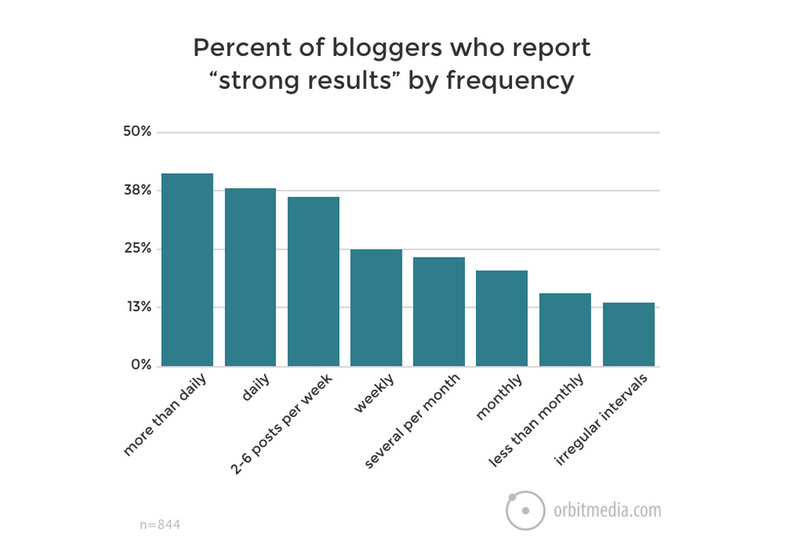 Most bloggers publish when it works within their schedule, but should consider increasing frequency if possible. When bloggers in the study reported strong results from their efforts, the promotional channels that they used most were paid and influencer. Paid promotion are tactics like LinkedIn Sponsored Content campaigns – the amount you can invest will vary with the scope of a campaign and the platform. Influencer marketing involves reaching out to credible individuals who maintain a high level of celebrity status within their industry to promote your blog post through their own extensive networks and profiles. This process involves dedicating time to grow your understanding of why they would want to share your content (what’s in it for them?) and building trust through developing a relationship. 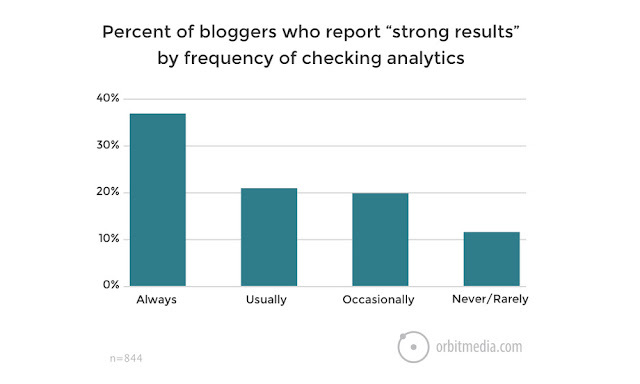 You won’t know if you’re successful if you aren’t looking at the analytics. Monitoring key data points of each post such as overall traffic, blog comments, and amount of social media sharing and engagement will show long-term success and set future content strategy. 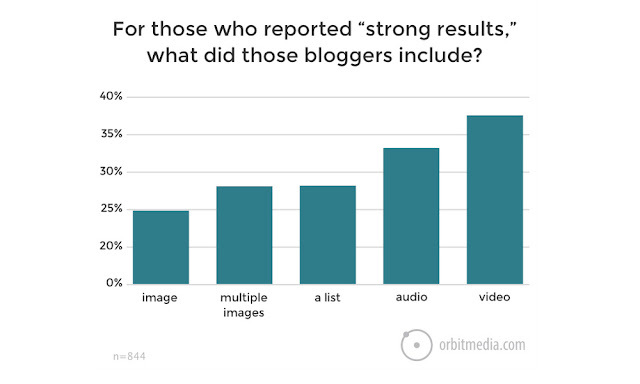 While we can’t always access multiple, relevant images for a post, or invest in creating a professional video, or even find time to write more than 1,500 words, attempting to achieve some of these benchmarks throughout 2017 may significantly affect your blog. Take action to write posts of quality content of 1,500 words or more that include rich media and are posted on a frequent basis for maximum audience engagement and blogging success. Thanks Laura! Just shared with my team as we are currently experimenting with LinkedIn.